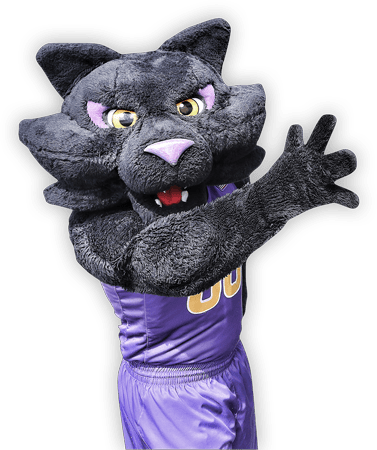 With a mission to uphold the rich tradition of Panther Athletics, the UNI Varsity Club is a way to reconnect former student-athletes to current student-athletes. Your gift to the Varsity Club provides graduating student-athletes with the Varsity Club Senior Night Ceremony. At the ceremony, UNI Athletics presents each senior student-athlete with a Senior Gift. The Senior Gift was a framed, chenille UNI Athletics Letter - a longstanding athletic tradition. UNI Varsity Club Members are who make this event possible for graduating student-athletes at UNI. Thank you to all Varsity Club Members! Interested in becoming a Varsity Club Member for the 2018-19 Season? Memberships are available for any former UNI student-athlete. For more information and questions about the UNI Varsity Club, please contact the Panther Scholarship Club at 319-273-2471. Ongoing support to our sports programs has been and will continue to be crucial in allowing UNI student-athletes to compete and thrive at the highest level. Fund your passions with a gift to one or more of our sports teams. Planned gifts or estate gifts to UNI Athletics have a profound impact on our athletics program while creating a legacy for you and your family. Making a planned gift to UNI Athletics reflects your ongoing commitment to Panther Athletics and enables you to make a difference for student-athletes long into the future. You can make a designation to support a particular sport, establish a scholarship fund, or support where the needs are the greatest. We have outstanding professionals at UNI who can assist you in meeting your philanthropic goals. Our staff will work with you and your professional advisor to help determine what planned giving options are best for you and your family. Seek the advice of your professional or legal advisor regarding your particular situation. UNI Athletics would like to thank these individuals and families who have made a commitment to support UNI Athletics long into the future with a planned gift. Learn more about gift and legacy planning at UNI. For questions about leaving a legacy through a planned gift, contact Jamar Thompson, Director of Development for Athletics, at 319-273-7817.